Ivan Foletti (MA in Art History, University of Lausanne; PhD in Art History, University of Lausanne; Habilitation in Art History, Masaryk University) is an art historian specializing in the study of historiography of Byzantine art and the art of Milan, Rome and Constantinople in the late antique and early medieval period. More specifically, he studies early Christian monuments from the liturgical and ritual point of view. 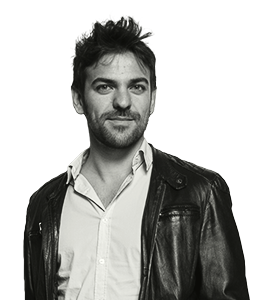 In addition, he is interested in using social and anthropological approaches to explore the impact of the period of migrations on art in the Mediterranean area. 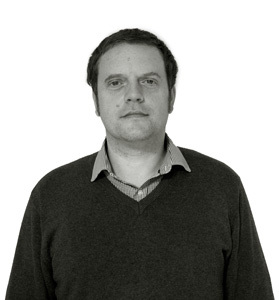 Ivan is currently an Associate Professor of Art History at Masaryk University, where he teaches courses on medieval art (Byzantium, West, Islam). He is the head of the Center for Early Medieval Studies in Brno, editor-in-chief of the international peer-reviewed journal Convivium. Exchanges and Interactions in the Arts of Medieval Europe, Byzantium, and Mediterranean (Brno, Lausanne, Prague 2014–) and director of the Hans Belting Library. 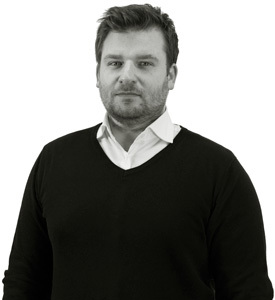 He is also director of three Editorial collections Studia Artium Mediaevalium Brunensia (Rome 2013–), Parva Convivia (Brno 2016–) and Convivia (Brno, Rome 2017–). He taught as invited professor at the universities of Fribourg, Lausanne, Naples, Padua, Poitiers, Prague and Venice, and he was also a fellow at the Swiss Institute in Rome, at the Max-Planck-Institut für Kunstgeschichte – Bibliotheca Hertziana, and at the Zentrum für Literatur- und Kulturforschung in Berlin. Ivan directed the Swiss national found Ambizione project (2013-2017), “Les morts et leurs corps comme lieu d’éthno-agrégation et de contacte: la cas d’Ambroise, de Gervais et de Protais au haut Moyen Âge,” dedicated to the interaction between objects, relics and migrants in Milan and Lombardy in 4-10th century and the experimental project “Migrating Art Historians” (2017, Faculty of Arts, Masaryk University). Currently, he is directing the project “Transforming the Spaces and the Minds. Materiality, Performativity and Perception in the Late Antique (4th–6th century) Baptismal Zones” (2017-2019, Grant Agency of Masaryk University). Ivan has published over 20 articles in peer-reviewed journals, such as Arte Lombarda, Convivium, Kunstchronik, Perspective, and Zeitschrift für Kunsgeschichte. He is the author of 3 monographs: Da Bisanzio alla Santa Russia, Rome 2011 (English translation in 2017), with Manuela Gianadrea; Zona Liminare. Il nartece di Santa Sabina, le sue porte e l’iniziazione cristiana, Rome 2015; and the forthcoming Oggetti, reliquie e migranti La basilica Ambrosiana e il culto dei suoi santi. Moreover, he is the editor of some 24 conference proceedings and collective monographs. got her PhD at Tuscia University of Viterbo (2010). 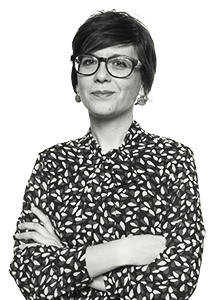 Later, she has been awarded post-doctoral fellowships at Tuscia University and at Koç University in Istanbul (senior fellow at Research Center for Anatolian Civilizations; Tübitak research fellow). Since 2007, she is a member of Tuscia University research project in Cappadocia. Her main research interests are on one hand the question of images in the Early Christian age and in the Iconoclast era, on the other hand Medieval painting in Rome and in Cappadocia. As a postdoctoral fellow at the Center for Early Medieval Studies, she is currently carrying out a project devoted to the reception and the cult of images in the Early Medieval West from the Early Christian to the Carolingian era, investigating textual sources in connection to visual evidence. studied art history and history at the University of Lausanne (2005-10), where she worked than as assistant and lecturer (2013-2018). She obtained her PhD in 2016 (University of Lausanne, University of Münster) with a thesis on early christian art and patronage in Campania (Una “questione campana”. La prima arte monumentale cristiana tra Napoli, Nola e Capua (secc. IV-VI), Rome, Viella, 2017). During her doctoral research she obtained fellowships at the University of Münster (2010-11) and at the Swiss Institute in Rome (2012-13). 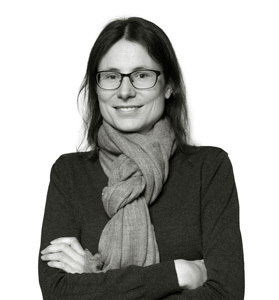 Her research focus on late antique and early medieval art, with a special attention to the reconstruction of the original material and historical context of the artworks studied. She works since September 2018 at the Center of Early Medieval Studies as post-doc researcher on a project about the artistic production in Rome during the Carolingian and Ottonian periods. 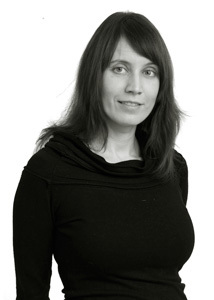 Zuzana Frantová studied Art History at the Faculty of Arts, Masaryk University in Brno. In 2017, she obtained a PhD for her thesis “Ravenna: Sedes Imperii (402–476). Artistic Trajectories in the Late Antique Mediterranean,” which had been co-tutored with Université de Lausanne, Switzerland. 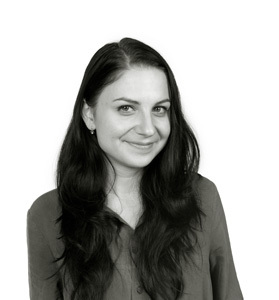 Since 2013, Zuzana has been working as executive editor of the journal Convivium. 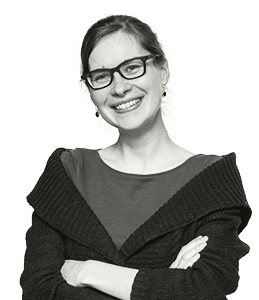 Exchanges and Interactions in the Arts of Medieval Europe, Byzantium, and Mediterranean (Brno, Lausanne, Prague 2014–) and she has been teaching various courses on medieval art at the Department of Art History, Faculty of Arts, MU. 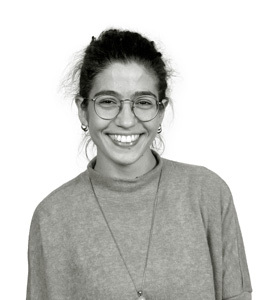 As a research fellow, she has recently joined the project “Iconic Presence. The Evidence of Images in Religion” (Hans Belting Fellowship), in which she focuses on the phenomenon of repetitive forms of Romanesque pilgrimage church facades from the anthropological perspective. Vladimir Ivanovici studied ancient history and archaeology at the University of Bucharest and at the Freie Universität Berlin. In 2011, he obtained a PhD in ancient history from the University of Bucharest with a thesis on early Christian martyrs as living images of Christ. 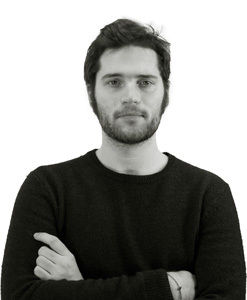 In 2014, he followed with a PhD in art history from the Accademia di architettura Mendrisio for research on the theophanic dimension of Late Antique Christian architecture in the upper-Adriatic area. During his studies, Vladimir obtained graduate fellowships in Thessaloniki and Rome, and has recently been a postdoctoral fellow at the Bibliotheca Hertziana – Max Planck Institut für Kunstgeschichte in Rome, Italy (2015-2017). In his reserach, Vladimir explores various manners in which the divine manifested in Late Antiquity, paying particular attention to the relevance of the living body as theophanic medium. Intersecting the study of cultic architecture and art with the anthropological views of various religions, his research seeks to identify the artifices through which the divine was materialised in each particular period. Klára Švejdíková comes originally from Opava, but she has been living and working in Brno for a number of years. At VŠB-Technical University Ostrava, she studied in an economy-related field, but her professional as well as personal life is has been tied together by her interest in culture and art. In her previous job, for the C.E.M.A. agency, Klára took part in organizing various music festivals, and she also supervised the organisation and running of the project “Brno, the City of Music”. As an activity coordinator and assistant of the Center for Early Medieval Studies, Klára is taking care of the administrative and economic agenda, and the flawless functioning of the whole team. Although deeply settled within a culture-oriented environment at the moment, her original technical specialization brings a welcomed and well-functioning contrast to the overall setup of the Center. Kristýna Marešová lives and works in Brno. At the Center for Early Medieval Studies, Masaryk University, she is in charge of the desktop publishing of the journal Convivium. Exchanges and Interactions in the Arts of Medieval Europe, Byzantium, and Mediterranean (Brno, Lausanne, Prague 2014–). She also co-worked as a DTP specialist on number of other publications of the Center. 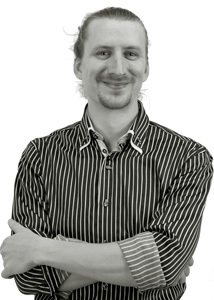 Petr Vronský studied Informatics, History of Art and Aesthetics at Masaryk University. 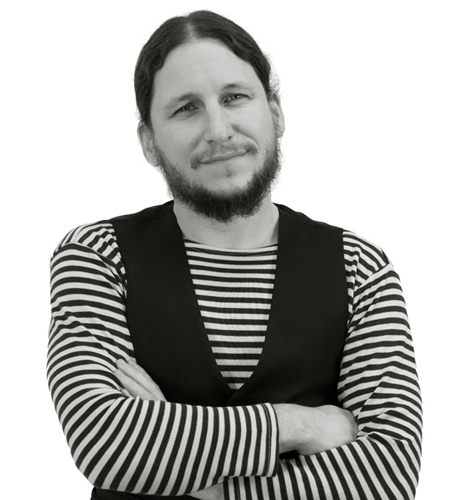 He obtained his Bachelor degree in History of Art and Aesthetics with a thesis about Joel-Peter Witkin and his usage of dead bodies in 2014. Early on into his studies, he started cooperating with the Center for Early Medieval Studies as a graphic designer, particularly on the lecture-series project StředověC JinaX. Since 2017, he has become a Center’s regular staff member. His work duties comprise desktop publishing of books, poster design, photo editing etc. Apart from his job responsibilities, he is interested in historiography, theory and history of photography, icon-painting and the philosophy of art. works as a graphic designer at the Center for Early Medieval Studies. She develops layouts of publications, edits photos, creates posters, etc. She is also collaborating on the creation of movies from the Center’s production. She studied History of Art at the Masaryk University. During her studies, Anna was particularly interested in the late antique era. However, she obtained her Master’s degree with a thesis about the church Notre-Dame-du-Port situated in Clermont-Ferrand (France). She dealt especially with the movement of medieval visitors inside this Marian church. As Anna participated in the Migrating Art Historians project, she could at least partially rely on her own experience while working on this subject. She has cooperated with the graphic team of Convivium already during her studies and designed, for example, the book by Michelle Bacci, The Mystic Cave. Sible de Blaauw studied Medieval History at Groningen University and obtained his PhD at the University of Leiden in 1987 with a study on architecture and liturgy in the Early Christian basilicas in Rome. From 1994 until 2001 he was a vice director of the Netherlands Institute in Rome, and from 2002 till 2016 he taught at the Radboud University Nijmegen. His research focuses on the interaction between architecture and liturgy, on the city of Rome as a Christian palimpsest and on the survival, memory and reception history of Early Christian monuments. Sible de Blaauw is a co-editor of the Reallexikon für Antike und Christentum and a member of the Akademie der Wissenschaften und der Literatur Mainz. He was (together with Eric Moormann) a curator of the exhibition: Rome, The Dream of the Emperor Constantine (with loans from Roman and Vatican museums), De Nieuwe Kerk, Amsterdam, October 2015 – February 2016. Since 2017, Jan Klípa has been a research fellow at the Czech Academy of Sciences, focusing on the history of Central European art in the 14th and 15th centuries, on the topic of sacred art, and on the historiography of the discipline. In 2004-2017, he worked as a curator and a secretary for sciences at the National Gallery in Prague, Czech Republic, where he cooperated on such exhibition and publication projects as Silesia: A Pearl in the Czech Crown, Open the Garden of Paradise: Benedictines in Central Europe, 800-1300, and Without Borders: The Art of the Ore Mountains between Gothic and Rennaisance. Jan has authored and edited a number of specialized publications and articles, such as the monograph ymago de Praga: Board Painting in Central Europe, 1400-1430. 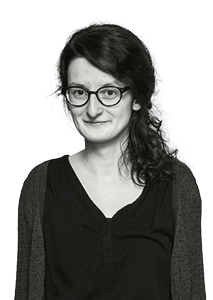 Jana Gazdagová is currently a doctoral student at the Department of Art History, Masaryk University. After obtaining her bachelor’s degree at Komenský University in Bratislava in 2013, her master studies as well as her field of interest shifted to Brno. 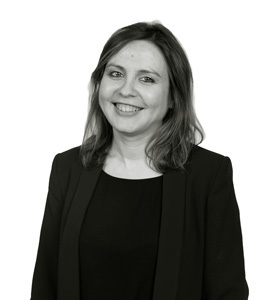 Here, she obtained her master’s degree in 2016 with a final thesis focusing on the church of San Giovanni a Porta Latina in Rome, researching its architectural, decorative and ideological features together with the historical and political context. In her doctoral thesis, Jana takes an interdisciplinary approach in researching the turbulent period of Arechis II with the focus on the key monument of Longobardie Minor, Santa Sofii in Benevento. 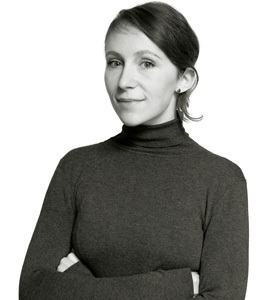 During her studies, Jana has earned several fellowships in Slovakia (East Slovak Gallery in Košice), in the Czech Republic (Moravian Gallery and Moravian Museum in Brno), and elsewhere in Europe (Bibliotheca Hertziana, Max-Planck-Institut für Kunstgeschichte in Rome, Italy; Centre d'études supérieures de civilisation médiéveale in Poitiers, France). At the Center for Early Medieval Studies, Jana manages the organisation of the public lecture series Středověc Jinax and she also administers various field trips. 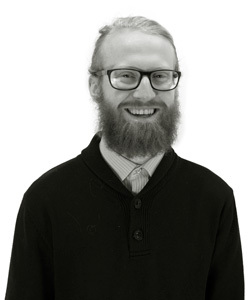 Martin Jakubčo is a PhD student at the Department of Art History, Masaryk University where he also obtained his Master degree with a diploma thesis focusing on the Throne of Maximian of Ravenna and its function. Recently, he has been preparing his dissertation on the Russian Art historian and Byzantologist, Vladimir Vlasevich Ajnalov (1862–1939). 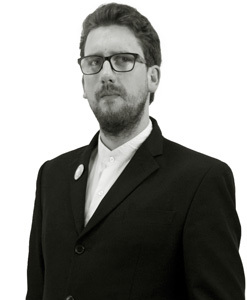 Martin Lešák is a PhD student at the Department of Art History, Masaryk University, and at the Université de Poitiers in France. Under the guidance of Ivan Foletti and Eric Palazzo, he focuses on the relation between monumental decorations created in the Carolingian Rome and the stational liturgy of the city. His Master thesis was dedicated to the so-called “Tower at Torba” and its mural paintings from about 800 AD. After receiving his master’s degree, Martin spent several months as a pre-doc fellow at the Bibliotheca Hertziana – Max-Planck-Institut für Kunstgeschichte in Rome and as an intern at the Peggy Guggenheim Collection in Venice. 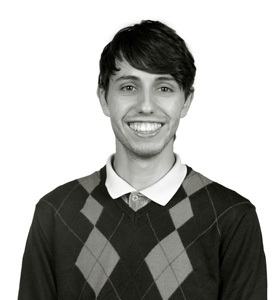 Martin works as an executive editor of the journal Convivium. Exchanges and Interactions in the Arts of Medieval Europe, Byzantium, and Mediterranean (Brno, Lausanne, Prague 2014–). He also participated in the experimental project “Migrating Art Historians” during which he studied the dialogue between medieval pilgrims, landscape and architecture. 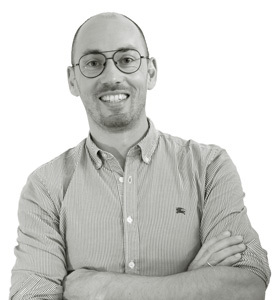 After studying at the University of Lausanne, Adrien Palladino is now a PhD student at Masaryk University in Brno under the direction of Ivan Foletti and at Fribourg University in Switzerland under the direction of professor Michele Bacci. He is writing a dissertation questioning the function(s) of late antique boxes (IVth–VIth century) within a historiographical, historical and visual frame. His interests include historiography of art history, art theory and human sciences, as well as deep attention to the new approaches in the study of late antique, early medieval and medieval art. In 2017, he participated in the experimental four-month-walking semester from Lausanne to Mont-Saint-Michel within the project “Migrating Art Historians” (Masaryk University). His recent publications include an article on the figure of German archaeologist Richard Delbrueck during the Interwar period in Germany (Convivium, IV/1 , pp. 53–68) and a volume co-edited with Ivan Foletti on the phenomenon of the ritualisation of city spaces from Antiquity to the twentieth century (Ritualizing the City. Collective Performances as Aspects of Urban Construction from Constantine to Mao, Ivan Foletti, Adrien Palladino eds, Rome 2017). He was also the executive editor for many volumes of the Centre for Early Medieval Studies, as well as of its journal, Convivium. Exchanges and Interactions in the Arts of Medieval Europe, Byzantium, and Mediterranean (Brno, Lausanne, Prague 2014–). 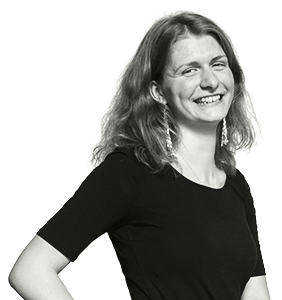 Veronika Pichaničová graduated in 2015 with the thesis focused on Renaissance Art in the East Upper Hungary. She is currently a postgraduate student at the Department of Art History, Masaryk University. In her research, she focuses on precious stones and their representation and use in the artwork of the eighth and ninth centuries in Latin West. The project of her thesis ties together the iconography of Heavenly Jerusalem with the use of mosaics and stained glass in the decoration of church spaces as well as the use of precious stones in Carolingian reliquaries and crosses. is a PhD. student at the Department of Art History, Faculty of Arts, Masaryk University. At the same university, she graduated in art history and history. 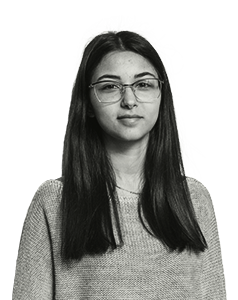 She has been fortunate to spend couple of semesters studying at the Roman university La Sapienza and at the Université de Poitiers in France as well as in the Bibliotheca Hertziana (Max-Planck-Institut für Kunstgeschichte) in Rome as an intern. Throughout her master studies, she became a Migrating Art Historian thanks to the project of the same name, which has changed more then only her understanding of science. 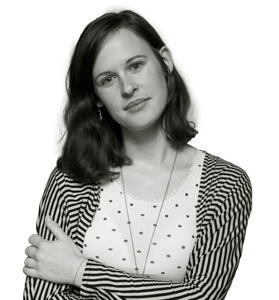 Her research focuses are historiographical questions and reflections on objects in the longue durée perspective. In her dissertation, she attempts to reassess the artistic production in the 10th century Rome. Besides, she is a co-researcher in the a project "The Potential of Emigration. The Contribution of (not only) Russian Émigrés to the Interwar Europe" supported by the Technology Agency of the Czech Republic. 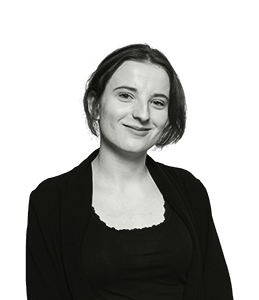 Lenka Vrlíková is a PhD student at the Department of Art History, Faculty of Arts, Masaryk University, where she also finished her MA studies with a thesis titled Heavens on Earth: The Pseudo-basilica Debra Maryam on the Qorqor Cliff. In her current doctoral thesis, which follows a broad interdisciplinary approach, she deals with the history of Ethiopian painting between the 13th and 15th centuries, with a pronounced focus on its formal and functional changes in the context of political, theological, and social development. Through her work, she attempts to uncover the interconnections between visual art and religious/political preferences of Ethiopian rulers in order to clarify the perception of the selected art pieces in the discourse of their period. In 2014 and 2017, Lenka performed field research in Ethiopia examining medieval wall painting in the regions of Tigray and Amhara. During this time, she also worked as a research fellow at the Institute of Ethiopian Studies in Addis Abeba. 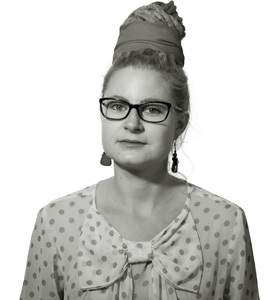 Apart from her current PhD project, Lenka's broad research interests include collections of non-European art related to Christian missions in western Africa and in the territory of contemporary Ethiopia, and the relationship between Ethiopian sculpture art of the 20th century and political propaganda. 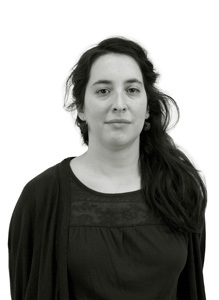 Anna Magnago Lampugnani is a PhD candidate at the Department of Art and Visual History at Humboldt University of Berlin. After graduating with a BA in History of Art, Media Studies and Literature from the University of Konstanz in 2012 with a thesis about Ambrogio Lorenzettis Maestà in Massa Marittima, she pursued her MPhil in Art History at Humboldt University of Berlin. In 2015, she graduated with a thesis entitled Caravaggio’s Saint Matthew in San Luigi dei Francesi. The subject of inspiration between iconography and theological dogma. 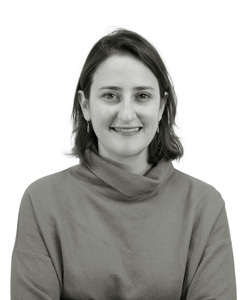 Since May 2015, Anna has been a PhD fellow at Bibliotheca Hertziana in Rome for her dissertation project with the title Textual and visual conceptions of artistic inspiration in the Italian Art of Early Modern Times. In her thesis, she explores the transformation of the idea of “inspiration” in art and art theory in the 16th and 17th century. 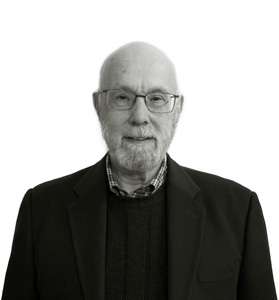 Since 1976, Herbert Leon Kessler is a professor at Zanvyl Krieger School of Arts and Sciences, John Hopkins University, Baltimore (USA), and also a member of the Medieval Academy of America (1991) and the American Academy of Arts and Sciences (1995), as well as many other significant medievalist and byzantologist organisations (Dumbarton Oaks Alumni Association, Byzantine Studies Conference, International Center for Medieval Art, College Art Association of America). Herbert graduated from the University of Chicago in 1961, after which he went on to study at Princeton University under the guidance of Erwin Panowski and Kurt Weitzmann. In his doctoral thesis, which he submitted in 1965, he dealt with illuminated scripts from the nineth century. In 1969-1970, he studied at the Institute of Advanced Studies in Princeton, and in 1972-1973, he continued with his postdoctoral studies as a Guggenheim Fellow. 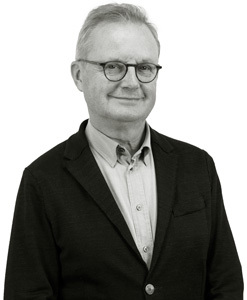 Then, in 1973, Herbert Kessler became the head of the department of art history at the University of Chicago, and in 1976, he moved to John Hopkins University, Baltimore, where he has gradually assumed the position of a professor and the head of the department of art history. In 1977, Herbert took part in the organisation of the exhibition “The Age of Spirituality” by Kurt Weitzmann, which took place in the Metropolitan Museum of Art in New York. With Weitzmann, he then collaborated on two major publications: The Cotton Genesis (Princeton: Princeton University Press, 1986) and The Frescoes of the Dura Synagogue and Christian Art (Washington D.C.: Dumbarton Oaks, 1990). In 1984, Herbert Kessler became a Charlotte Bloomberg Professor of the Faculty of Arts and Sciences, John Hopkins University, and he kept this position until 1998. In 1980-86, he was a senior fellow in Dumbarton Oaks. As a professor, he visited Biblioteca Hertziana in Rome (1996-97), Harvard University (2000-2001), and Williams College, Massachusetts (2006-2007). In 2007, an international conference in his honor took place at Centre d’études médiévales in Auxerre, which dealt with the huge contribution of Herbert Kessler for the study of medieval art and beyond. The most important publications by Herbert Kessler include The Illustrated Bible from Tours (Princeton 1977); Studies in Pictorial Narrative (London 1994); (with Johanna Zacharias) Rome 1300: On the Path of the Pilgrim (Yale 2000); Spiritual Seeing: Picturing God's Invisibility in Medieval Art (University of Pennsylvania 2000); Old St.Peter’s and Church Decoration in Medieval Italy (Spoleto 2002); Seeing Medieval Art (Peterborough 2004); Neither God nor Man. Texts, Pictures, and the Anxiety of Medieval Art (Freiburg im Breisgau 2007). (MA in art history, Humboldt University, Berlin; Ph.D. in late antique and Byzantine art history, Ludwig-Maximilian University, Munich) is an art historian of Late Antique, Byzantine, and Western medieval art with a focus on the Eastern Mediterranean and Italy. His work explores changes and transformations across cultures, questions of the presence within artworks and architecture, and the Byzantine artistic heritage in Venice. During his doctoral research, he spent a year at Columbia University in New York as a visiting scholar. Since 2016, he has been assistant professor of art history at the University of Leipzig where he teaches courses on Late Antique, Byzantine, and early medieval art and architecture. He has held research residencies at the Dumbarton Oaks Research Library, the Kunsthistorisches Institut in Florence, and the Centro Tedesco in Venice. His scholarship has been supported by fellowships from the Protestant Academic Scholarship Fund, the Minerva Foundation, and the Fulbright Foundation. In 2019, he is the Andrew W. Mellon Foundation postdoctoral fellow at the Center for Byzantine Studies at Boğaziçi University, Istanbul. Armin has chaired a conference panel on natural disasters at the College Art Association in New York and one on questions of presence at the ICMS in Kalamazoo. In addition, he has organized two international conferences, one in Munich (Erzeugung und Zerstörung von Sakralität zwischen Antike und Mittelalter 2015) and one in Leipzig (Picturing the Present: Gegenwart im Bild und Bild in der Gegenwart 2018). His first book, entitled Visionserwartungen: Visualisierung und Präsenzerfahrung des Göttlichen in der Spätantike, has been published by Reichert press and received the Hans-Janssen award from the Academy of Arts and Sciences in Göttingen. Other recent publications have appeared in the journals Millennium, the Journal of Late Antiquity, and Gesta. 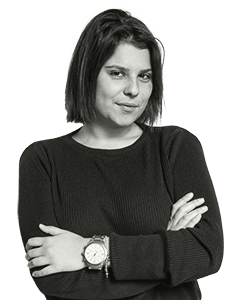 is a master student of History and Criticism of Art at University of Salerno, where she obtained her bachelor’s degree in Science of Cultural Heritage with a thesis about Andrea Sabatini and Raffaello. 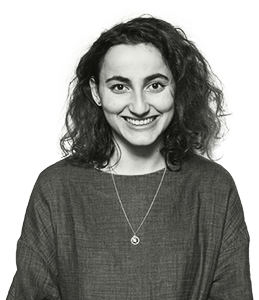 Currently, she focuses on contemporary art and she is working on her master thesis about the art during Hitler totalitarism, with a particular attention given to the experience of the German artist Hans Hofmann. In 2017, Marianna undertook a traineeship at Museo Diocesano San Matteo in Salerno. In Brno, she is doing an Erasmus traineeship at the Center for Early Medieval Studies (Masaryk University), working for journal Convivium and participating in various activities of the Center. is a bachelor student at the Department of Cultural Heritage, Arts, Cinema and Shows of University of Salerno in Italy. She focuses on Greek language and literature and she is currently working on preparation of her graduation thesis. Still only discovering the field of history of art, she is particularly attracted to the culture of the Byzantine era. At the moment, Eleonora is getting six months Erasmus traineeship at the Masaryk University in Brno, working for the journal Convivium and participating in different activities of the Center for Early Medieval Studies. is a master student at the Department of Philosophy and Cultural Heritage of Ca’ Foscari University in Venice, where he got his bachelor’s degree in 2017. He is now working on his master thesis under the direction of prof. Ivan Foletti on the 12th-century church of Saint-Pierre in Beaulieu-sur-Dordogne and its connection with the pilgrimage routes during the Middle Ages. His interests spread in time and space into the field of history of art and culture, with special attention to the ancient and medieval time, both in Europe as well as in the Near East and the Mediterranean. Other interests are interdisciplinary approaches to art history, especially in its interactions with for example anthropology and archaeology. In Brno, he is intern at the Center of Early Medieval Studies, working for journal Convivium. is a master student of the Department of Philosophy and Cultural Heritage of Cà Foscari University in Venice where she is focusing on medieval and byzantine art. She began her studies at the University of Milan, where she obtained her bachelor degree in Science of cultural heritage (Scienze dei Beni Culturali). At this moment, she is working on her master thesis with Prof. Ivan Foletti concerning the Mausoleum of Silivri Kapi in Istanbul and she is getting an internship with the Journal Convivium. Her interests are concentrated in particular on the study of early Christian and late antique art from an anthropological point of view. is a bachelor student at the Department of Art History at Masaryk University in Brno. She is currently writing her bachelor thesis, supervised by doc. Ivan Foletti, on the space and decoration of Early Christian chapel of Sant'Aquilino in Milan. In 2018, Gajane spent one semester in Italy, at Università degli Studi di Padova, where she studied early medieval and Byzantine art. This exchange stay offered her many opportunities linked to the field of her research – not only visits of archives or libraries, but above all the possibility to encounter the space of the Milanese chapel of Sant’Aquilino face to face. Thanks to all of this, she has truly realized the importance of the actual meeting with objects of art historical interest. 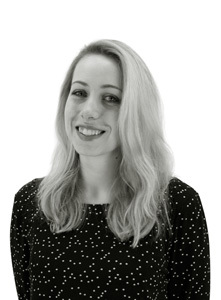 Since 2018, Gajane also works as an assistant-student in the Centre for Early Medieval Studies. Helping with various tasks, she is pleased to participate on meaningful collective activities prosperous not only for her. is currently a master’s degree student at the Department of Art History of the Masaryk University in Brno. In 2017, she finished her bachelor studies with a thesis supervised by Ivan Foletti, focused on the Christological cycle of mosaics in the sixth-century basilica of Sant’Apollinare Nuovo. Her hypothesis, based on examination of the side aisles as ideal viewpoint for observing this cycle and supported by texts of the Church Fathers, connects the cycle to the baptismal rite. It is precisely the side aisles, the various modalities in which they can be physically or visually separated from the nave, as well as their function(s) in the liturgical space of Late Antique basilicas that are at the core of her present interest. Besides her studies, since November 2017, she has been actively involved in the executive editing of the journal Convivium. Exchanges and Interactions in the Arts of Medieval Europe, Byzantium, and Mediterranean (Brno, Lausanne, Prague 2014–) and other publications of the Center. is a master student at the Department of Art History at FFMU, and since 2015 also member of the Center for Early Medieval Studies. 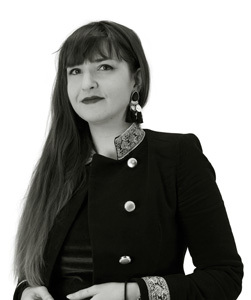 She acquired her bachelor’s degree in 2017 with the work about visual rhetoric of aniconic decoration and genesis of the church of Hagia Eirene in Constantinople, while for her master thesis she focuses on the Cathedral in Le Puy-en-Velay. After the cooperation on the organization and participation on the Migrating Art Historians project, she worked as co-editor of the book Migrating Art Historians on the Sacred Ways (2018). Within the Center, she works mostly on the multimedia presentation of scientific outputs to the wider public. After filming 12 short films and collaborating on the preparation of the documentary about the MAH project or about the church of St Sabina in Rome, she further dealt, for example, with the dramaturgy and filming of a documentary on the Armenian cultural genocide. In her research she focuses mainly on medieval sacral architecture and its ways of communication with the viewer.